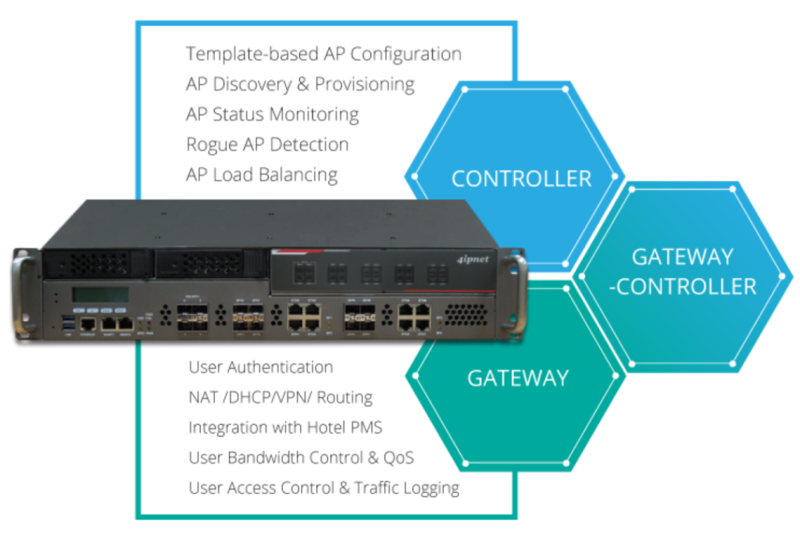 The hybrid design of the 4ipnet’s WHG gateway-controller allows the system to be positioned as both an access control gateway as well as a WLAN controller for AP management. When deployed in the data path, the WHG is able to enforce user policies such as bandwidth, QoS, and firewall profiles, and perform traditional gateway functions such as DHCP, NAT, and traffic isolation. When deployed outside of the data path, the WHG can continue to perform functions such as AP management, captive portal authentication, and user accounting, without the overhead of managing user traffic. The flexibility of deployment methods and applications allows network administrators to easily utilize 4ipnet to fulfill the a wide variety of WLAN requirements. For many enterprises and organizations, one of the major IT challenges in today’s mobile-centric environment is how to deploy, maintain, and manage a secure Wi-Fi network in a simple and cost-effective way. 4ipnet addresses these concerns by providing an intuitive AP management interface and enabling intelligent network management. 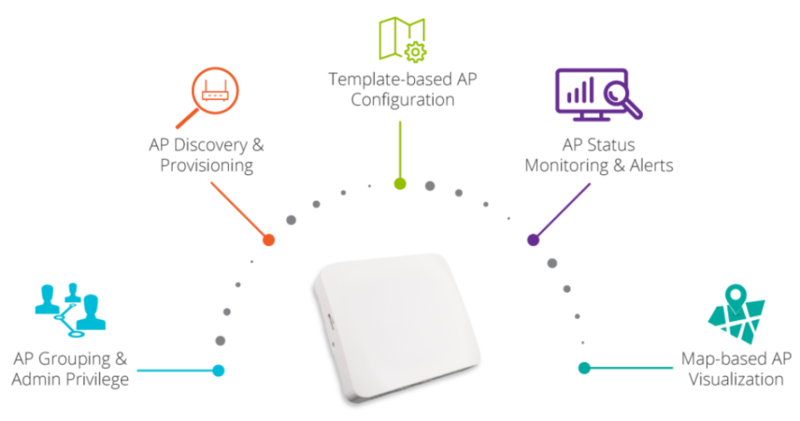 Features such as automatic discovery & provisioning aim to reduce initial deployment complexities, while AP Load Balancing and Rogue AP Detection further enhance network performance and security. 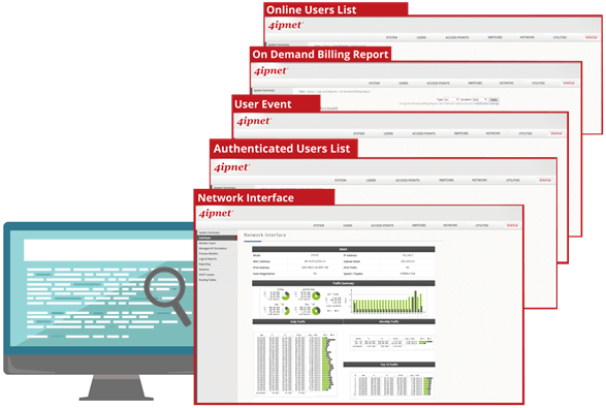 Network administrators can also easily monitor APs in distributed sites or branch offices using the integrated map-based view, pushing configuration templates when necessary and collecting network statistics in real-time. Reliable performance is typically one of the most important aspects for public and enterprise Wi-Fi deployments. From client filtering thresholds to dynamic channel selection and intelligent configuration optimization, 4ipnet access points come with all the features that IT administrators need to minimize potential network downtime and guarantee smooth Wi-Fi access. 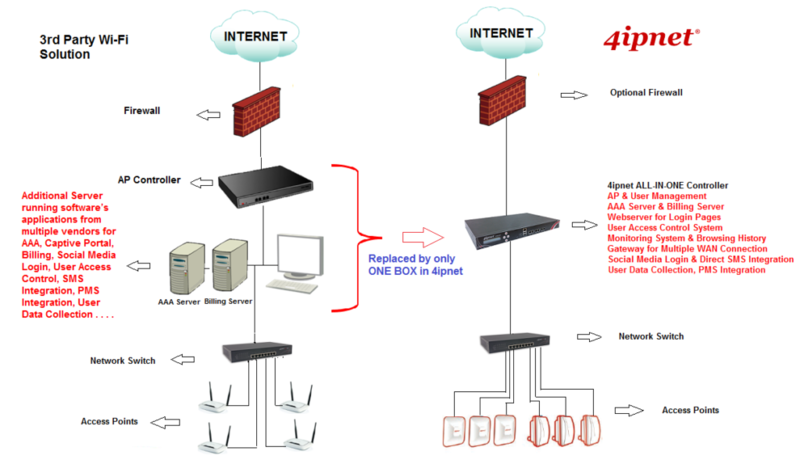 And when paired with 4ipnet WLAN controllers, the detailed control of each user’s access policies can further optimize network resource allocation. 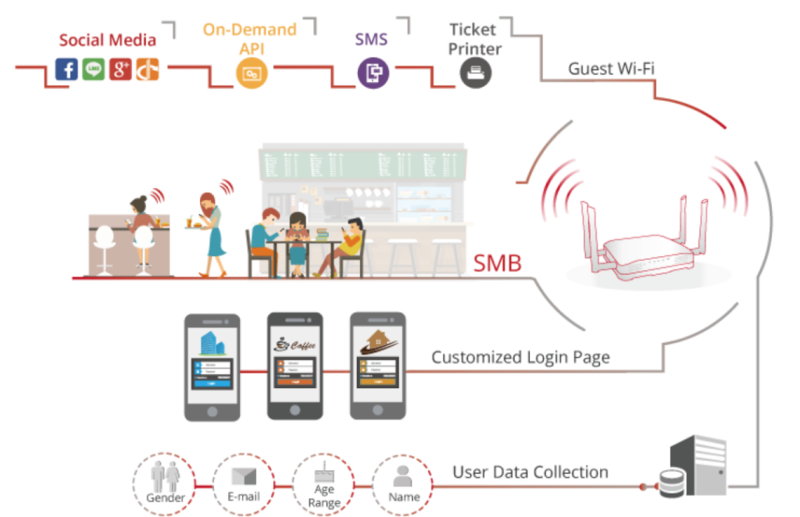 Compared to traditional Wi-Fi deployments consisting of access points and a central WLAN controller, the all-in-one wireless hotspot gateway (HSG) is a 4ipnet product designed specifically for SMBs such as coffee shops and restaurants. 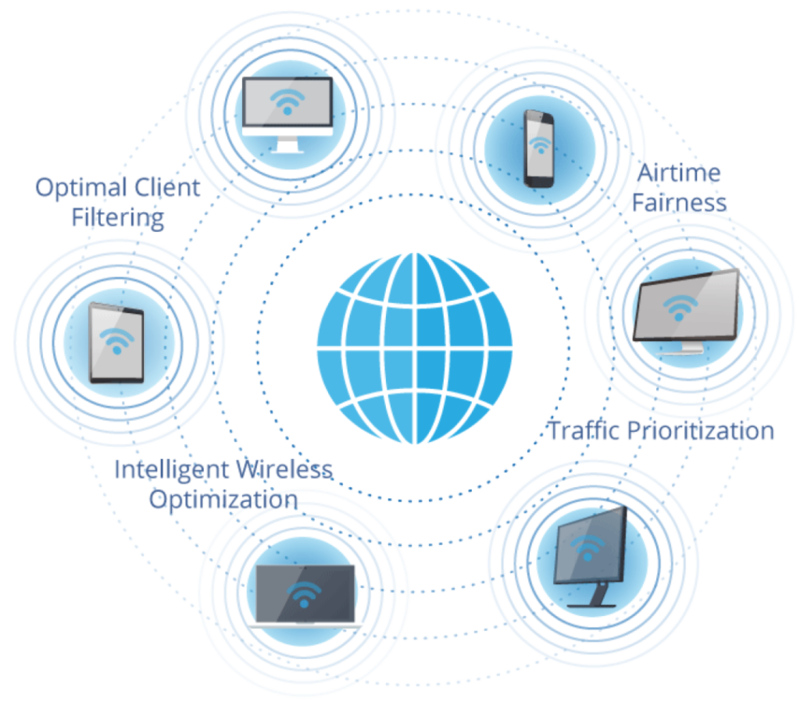 Although similar in functionality, it provides a unique advantage of having hotspot functionality such as guest Wi-Fi, user authentication, billing plans, and on-demand accounts all in the access point itself. No additional cabling is necessary, and small business owners can quickly get an enterprise-grade manageable Wi-Fi up and running. Business owners can collect valuable Guest data such as Name,Email ID & Mobile Nos and save it in the Internal Memory of the Hotspot Gateway. With the collected information Business owners can better understand their target audience & optimize product offerings & Promotional Programs, resulting in more effective campaigns & increased revenue. 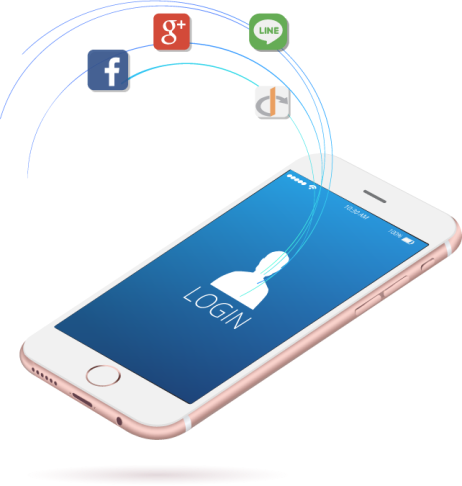 4ipnet’s social media login integration offers businesses providing free Wi-Fi with additional tools for more effective customer insights and marketing. Guests can easily login to Wi-Fi using their Facebook, Google+, LINE, VK, or OpenID accounts, allowing business owners to collect basic profile information such as gender, location, and birthday. By limiting free Wi-Fi access by duration or time, venue owners can better maintain open seats for new purchasing customers. Multiple billing plans can also be enabled to create tiered Wi-Fi service with different usage quotas, price, and network access privileges. Finally a tablet-based billing plan selection interface provides a simple way to create accounts for guests. With increasing security regulations in both public and enterprise Wi-Fi deployments, WLAN solutions need to be able to effectively track all network activity. 4ipnet offers a complete set of logs & reports from its monitoring interface, including user browsing histories, NAT conversion logs, and all authentication related events. 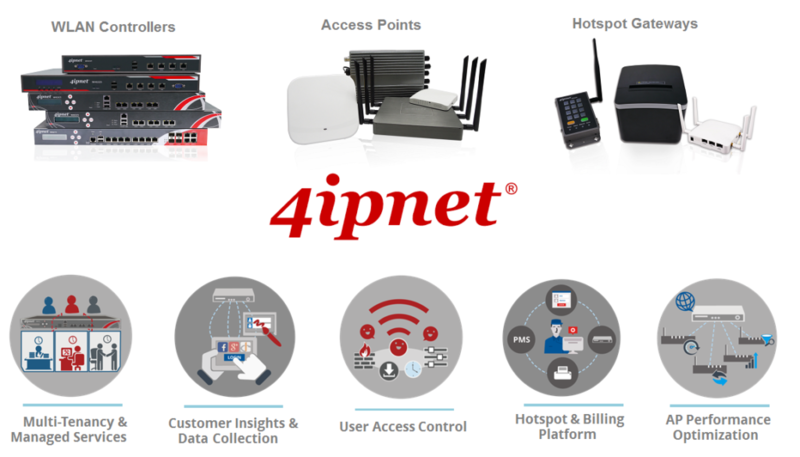 4ipnet offers a License Free ALL-IN-ONE Wireless solution. 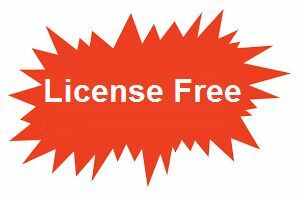 There are NO RECURRING LICENSES or modules for any functionality. Comes with 2 years warranty & Life Time Free Firmware upgrade. 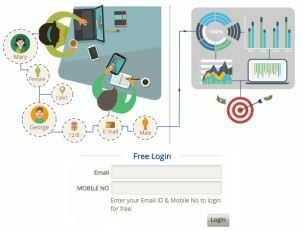 With 4ipnet’s guest Wi-Fi email login mechanism, network administrators are able to validate the authenticity of the entered email addresses by granting users with restricted access until the activation link is triggered. 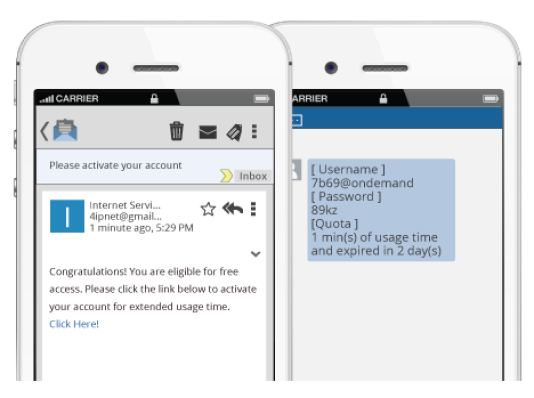 Furthermore, given the ease of free email account registration, device MAC addresses are also logged to maintain the integrity of the set access limitations, such as duration per access or number of reactivations per day. Enterprises and organizations need to have complete visibility of all Wi-Fi users on their network in order to prevent, identify, and fend off potential intruders. 4ipnet’s WLAN solution supports both 802.1X and browser-based authentication, ensuring the proper identification of network users before granting access to the network. Existing external authentication databases such as LDAP, POP3, NT Domain, and RADIUS can be easily enabled by network administrators and uniformly enforced across all deployment sites. Additionally, captive portals are fully customizable for web-based authentication of visitors or guests, utilizing authentication options such as social media, e-mail, or SMS. 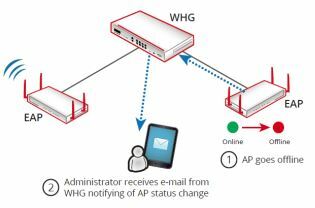 WHG Controllers offers detail AP Status Monitoring with real time Email Notifications of AP status change. When ever an AP goes offline, the administrator will receive an Email notifying him/her about the incident. 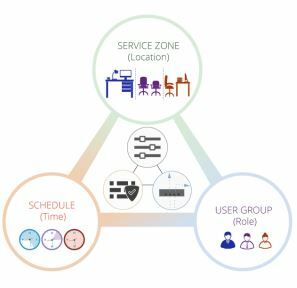 Administrator can then take appropriate measure to ensure the network service resumes in a timely manner, minimizing downtime. The added benefits is that AP’s do not have to be monitored non-stop and administrators can go on with their daily duties without worrying about missing critical events. 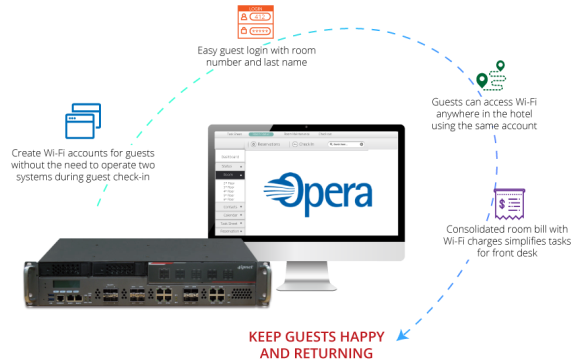 Typically found only in network access gateways, 4ipnet has taken the Opera PMS interface and integrated it directly on the WHG-series gateway-controllers, becoming one of the only WLAN solutions on the market to offer the PMS interface directly in the same box together with AP management, user authentication, and user policy enforcement. This design allows hotels to significantly reduce initial infrastructure investment without sacrificing on any of the functionality.